Every time I see a bottle of Windex® I can’t help but think of the dad from My Big Fat Greek Wedding. What is it about accents and different cultures that is so entertaining? I’m sure its because my own mom is from another country (Brazil), and we loved teasing her about her cute accent and Brazilian quirks while we were growing up. Did you know they’re making My Big Fat Greek Wedding 2 (rated PG­-13)? Its coming to theaters March 25th and I can’t wait use this $3 off Coupon for my tickets! The first film’s message of loving your family and all of their quirks has always resonated with me. Spending time with my family is really important to my husband and I, I like movies that bring our family together. It’s been awhile since the first movie came out, so I’m totally looking forward to see what they do with the characters and storyline for the second one. I can only hope I learn a few new uses for Windex® from the new movie. 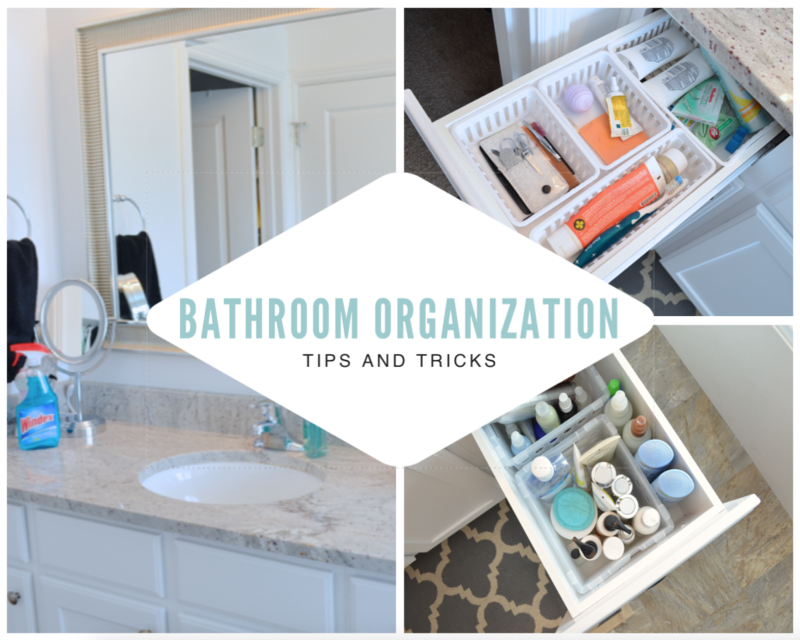 Drawer organization can be tricky because it can start to feel like a bottomless pit that eats whatever you throw in there. By using little baskets as separators, you can give each thing a home. Here is my drawer before picture: This is the same drawer after cleaning lots of hair and dust with Windex® , just a little fine tuning. Stackable bins will transform your under the sink storage. This is my biggest storage secret for my under the sink areas and this same concept works wonderfully in my pantry too. To help keep my countertops free from water splatters and dust, I added a couple bottles of Windex® original, Windex® with Vinegar and a microfiber towel to be able to clean up as messes happen. If you don’t have time in the moment (day you’re running late) make it a point to do a wipe down after your bedtime routine. By simply putting away makeup, hair and skincare products away after use, then wiping the counter, sink and mirror off every day, you will be able to keep your bathroom looking as good as it does on cleaning day and by using Windex® you’ll be able to do it faster because its streak-free. I found all of the Windex® products I used at Smiths in the cleaning aisle, and they had every variety. Windex® Original Glass Cleaner, Windex® Original Glass Wipes, Windex® Multi-Surface with Vinegar and more. They’re a fast and convenient way to get a streak free shine on many of the surfaces in your home. What are your favorite uses for Windex® products?